Pachelbel's famous and ever popular Canon In D, arranged for Flute Duet by Ricky Lombardo. By Johann Pachelbel. Arranged by Lombardo. Flute Quartet. Level: 4. Published by Kendor Music Inc.
By Johann Pachelbel; Lani Smith. Trumpet, organ. Level: Moderately easy. Sacred instrumental. Published by Unity Music Press. By Johann Pachelbel. Arranged by Jan van der Goot. 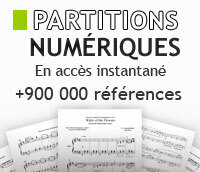 For Flute and Piano. Classical. Level: Intermediate. Book. 11 pages. Published by XYZ. By Johann Sebastian Pachelbel. Arranged by Daniel Dorff. For Flute, Guitar. Duration 4:0. Published by Theodore Presser Company. Composed by Johann Pachelbel (1653-1706), arranged by Daniel Dorff. Set of performance parts for flute and piano. F Major. 7 pages. Published by Theodore Presser Company. By Johann Sebastian Pachelbel. Arranged by Daniel Dorff. For 2 Flute, Piano. Duration 3:30. Published by Theodore Presser Company.